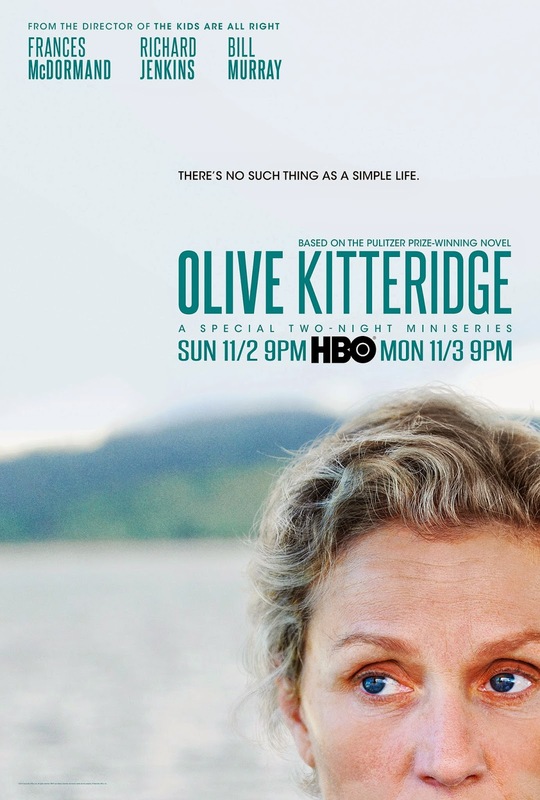 Did you catch part one of Olive Kitteridge last night? I read Elizabeth Stroud's best seller when it first came out in 2008, so long ago that I'd forgotten what a suicidal stew Stroud's novel is. Having just finished Philip Roth's The Humbling, which opens with a suicide attempt, I'm feeling a bit satiated with suicide as a dramatic concept. That being said, I'll be chair-bound for part two; I'll have to figure out the timing and if I have to miss The Voice, so be it. Why? In part because it's darkly comedic, but mostly, because I'm hoping that I'll find some redemption in the mini-series starring Frances McDormand as the beyond-grumpy Olive. Will Olive overcome her demons, her dark nature? It may be comforting to intelligent human beings to know that 'depression comes with being smart' — in Olive's opinion anyway, but I'm ready for a little sunshine folks. It's been a tough year with Robin Williams succumbing to suicide, being the very public poster boy for what feels like a surge of suicides. What is, in fact, reflective of an increase in suicides in the US among the boomer generation. Talking 'bout m-m-m-m-my generation here. Bring me some life affirming good news please! There is also a link between living in small isolated towns like Crosby, Maine and suicide so there goes that retirement fantasy. the obsession with death in Olive Kitteridge is fairly comedic. Unintentionally, Olive keeps stopping people from killing themselves, merely by being her usual unpleasant self. When a depressive complains her son doesn’t love her: “Don’t oblige him,” she says. When her former student says he wants to kill himself in the woods to make it cleaner: “It’s never clean,” she scolds, like he’s back in seventh grade. Olive is like It’s A Wonderful Life’s Clarence Odbody, except she’s telling them all It’s A Miserable Life, and just to get over themselves. 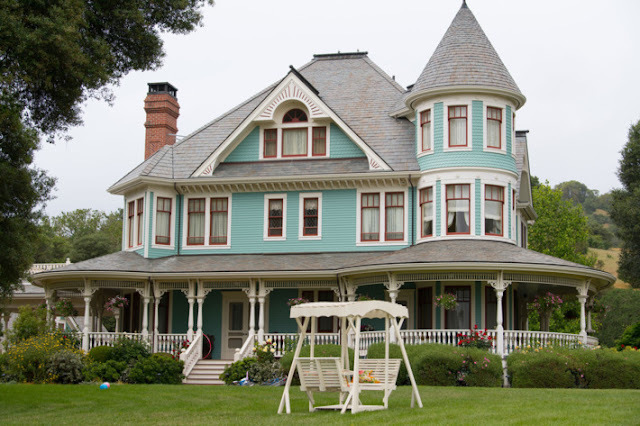 Olive Kitteridge also stars Richard Jenkins as Henry, John Gallagher Jr. (The Newsroom) as their son, Christopher, with Zoe Kazan as the mousey Denise. 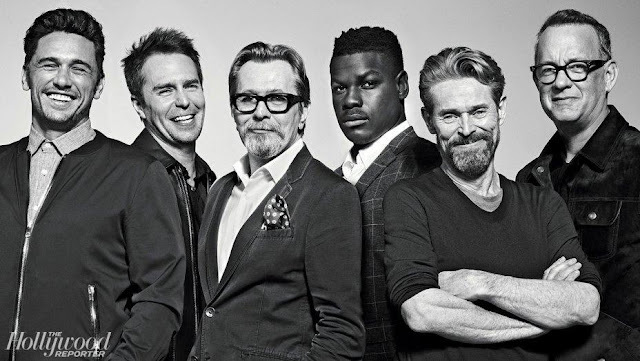 Thank God for the comic relief of those glasses! Tonight's finale brings Bill Murray to the screen as Jack Kennison. HBO has their own Olive Kitteridge site filled with goodies like interviews with the stars and a Welcome to Cosby featurette. I write this as the news of Brittany Maynard's suicide breaks. Instead of allowing cancer to take her on a slow painful journey to death, Maynard chose to take her life herself, moving to Oregon where assisted-suicide is legal. A much different sort of suicide, to be sure. Maynard's message to her followers is to go for it, do what makes you happy, what empowers you. It's a beautiful world, it's a wonderful life. And it is. 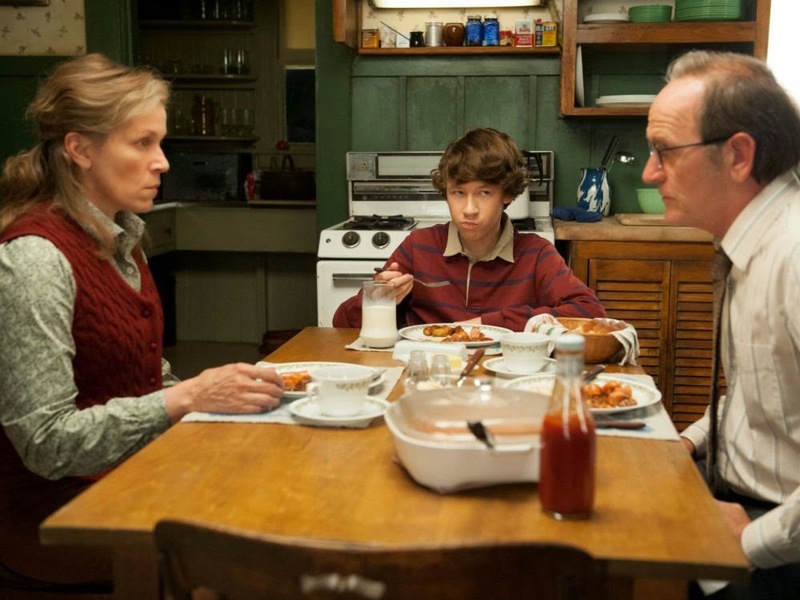 The reality of Olive Kitteridge's world is that while we all live in that same physical world, it can be a very different place — and very difficult place — inside our heads.